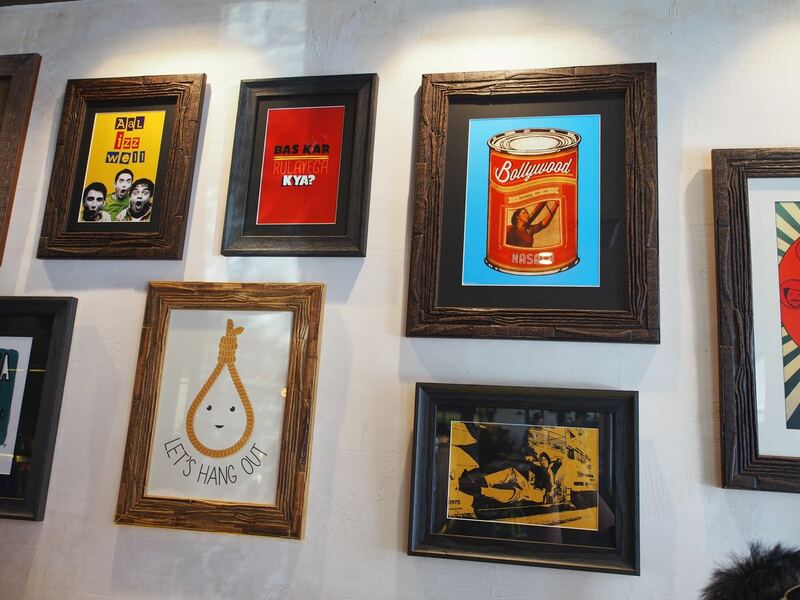 The menu has a mind-boggling repertoire of dishes. 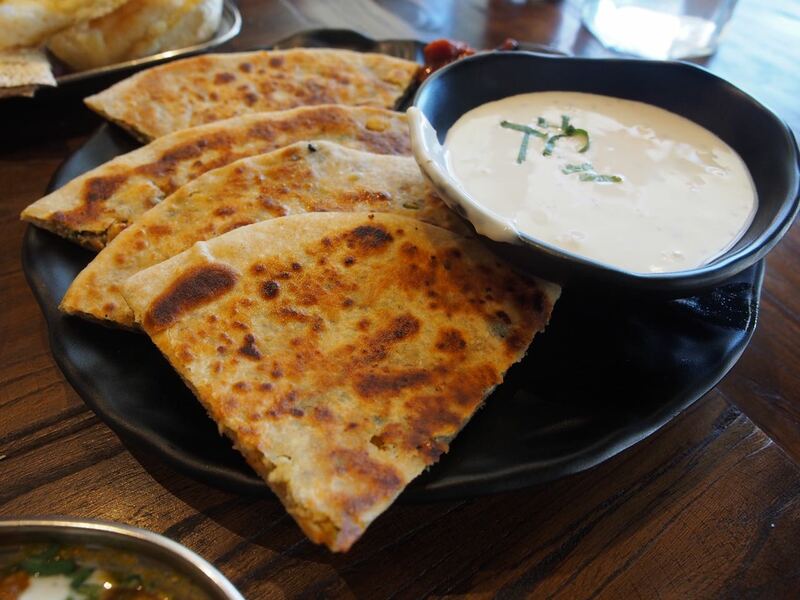 Having not visited the Indian subcontinent, BL and I decided the best way to navigate the menu was to put our trust in the server, and ask for recommendations. I was somewhat confused by the ordering process at Chaatkazz. 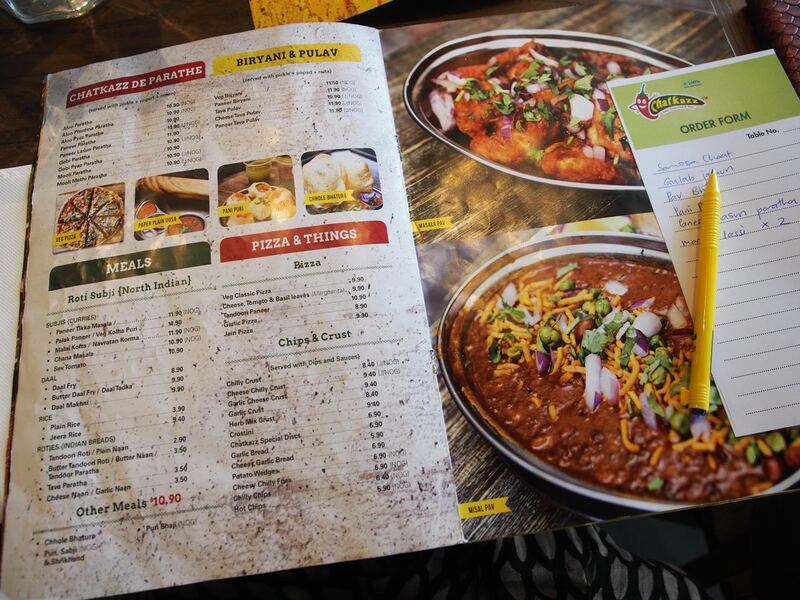 An order chit is provided on the table with a pen, so we proceeded to scribble our order after conferring with the staff on what the different dishes are and how spicy they are. But when we handed the chit over, the server rewrote the order in his order pad. Oh well, at least I had a reminder of what we ate. 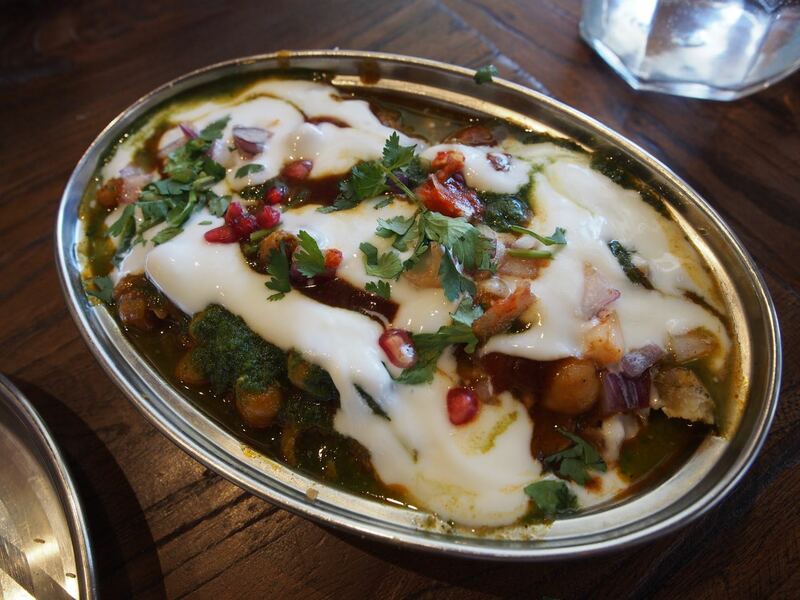 Samosa chaat ($8.90) is made with samosa (fried pastry with savoury filling of potatoes and chickpeas) smothered in spicy chickpeas curry and topped with onion, coriander & various chutneys. This was my favourite dish, the alchemy of the different textures (crispy and chewy) and flavours (sweet, sour and spicy notes) is exactly what I love about Indian cuisine. Delicious. 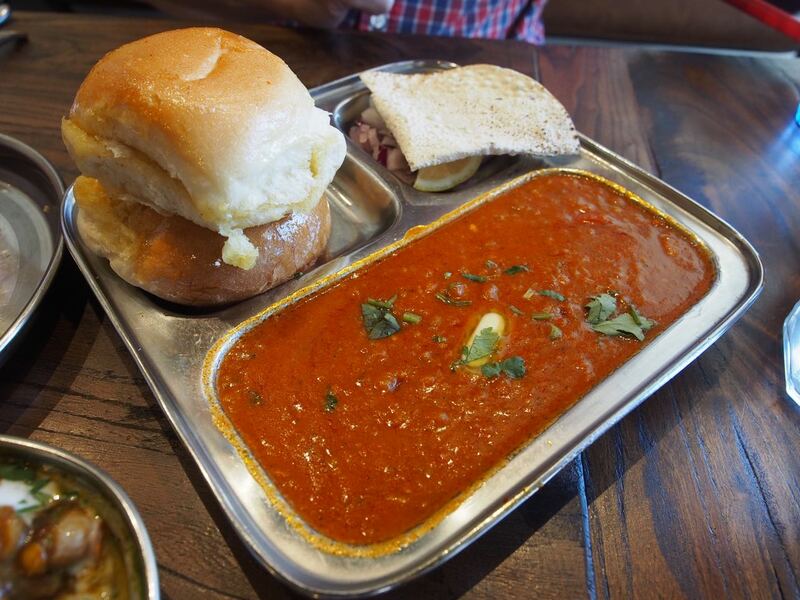 Pav bhaji ($10.90) spicy vegetable curry served with toasted bread roll, tomato & onion salad and papadam. When they say spicy, they mean it. I had a bite and left BL to enjoy this on his own, mopping up the thick stew with the oily bread roll. 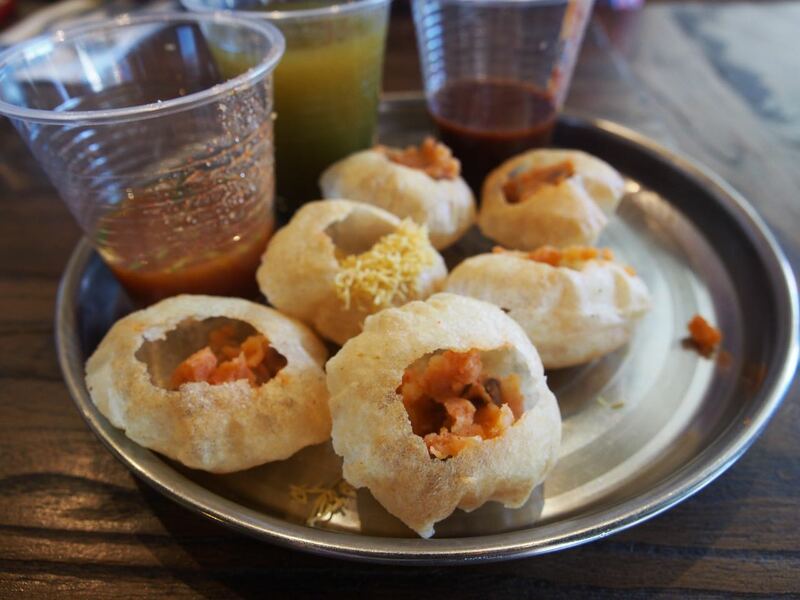 Pani puri ($5.90) small crispy puffed bread stuffed with boiled potato & chickpeas and served with tangy tamarind chutney and spicy mint water. I don’t know how they manage to keep the extremely brittle shells intact while stuffing them with the potato and chickpea mixture, I made a bit of a mess just adding the condiments. 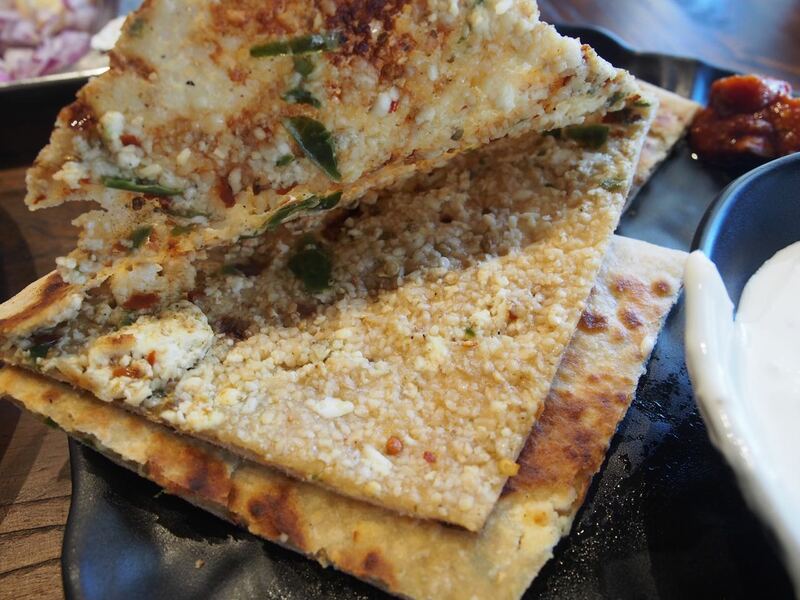 Paneer lasun paratha ($11.90) is cheese and garlic flatbread served with raita. This was tasty, though mainly just a good filler. 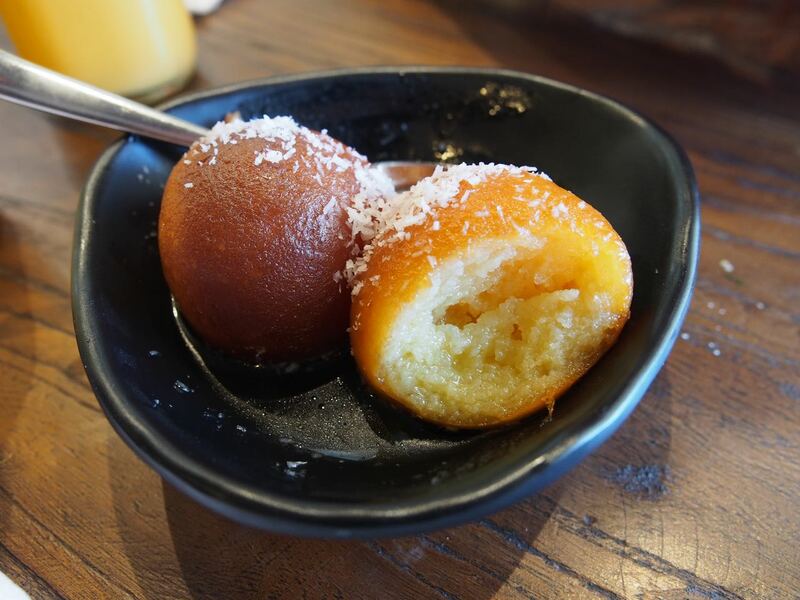 The gulab jamun ($6.40) was excellent; sweet but not sickly so, warm and soft. 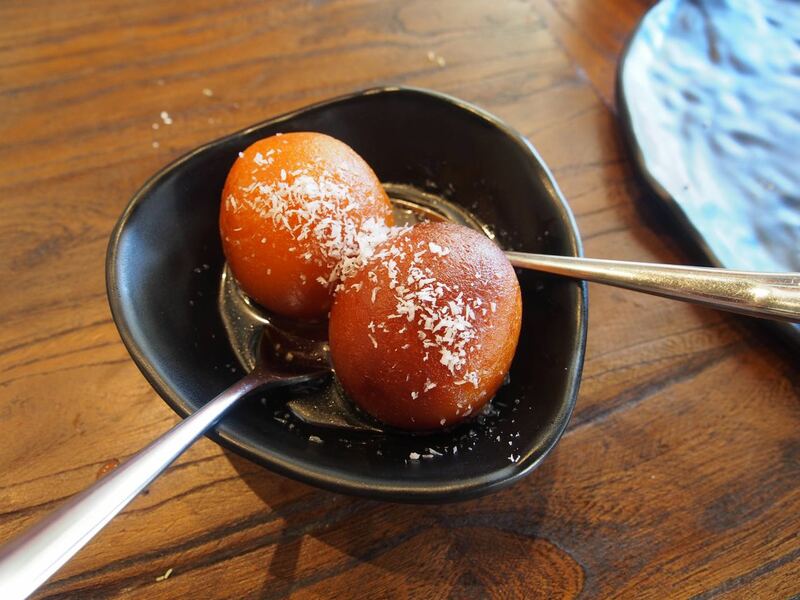 A terrific way to end the meal. 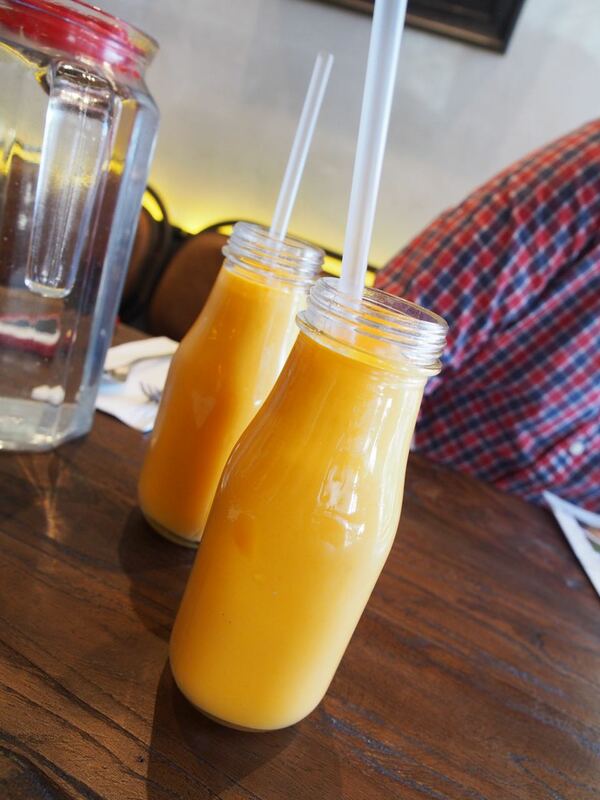 The mango lassi ($3.90) at Chatkazz is described as mango flavoured creamy buttermilk but it tasted like the typical yoghurt based lassi. We ordered far too much food and really should have stopped at two entrées and a main. My excuse is when faced with a seemingly never-ending range of appetising options, my mind stops working and my stomach takes over. 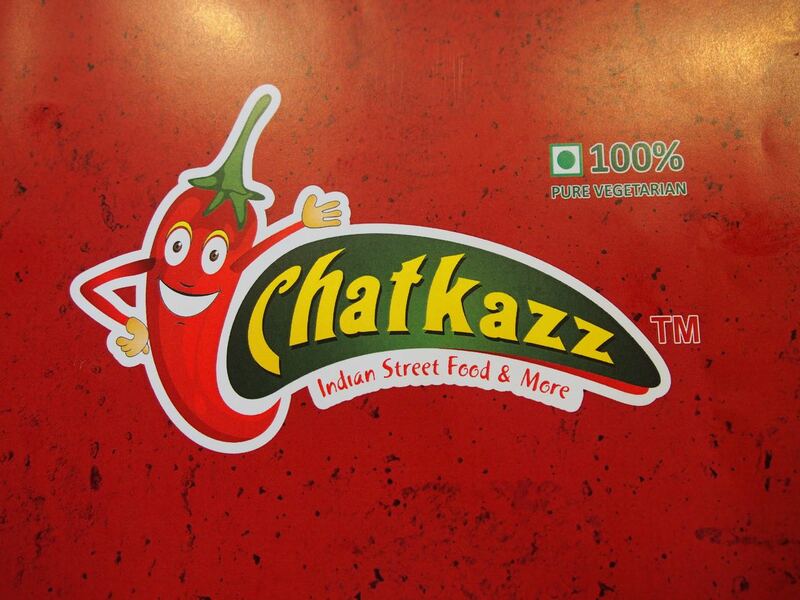 Chatkazz makes for a fun trip out to the western suburbs. There’s so much to taste, so throw caution to the wind, and try something new.